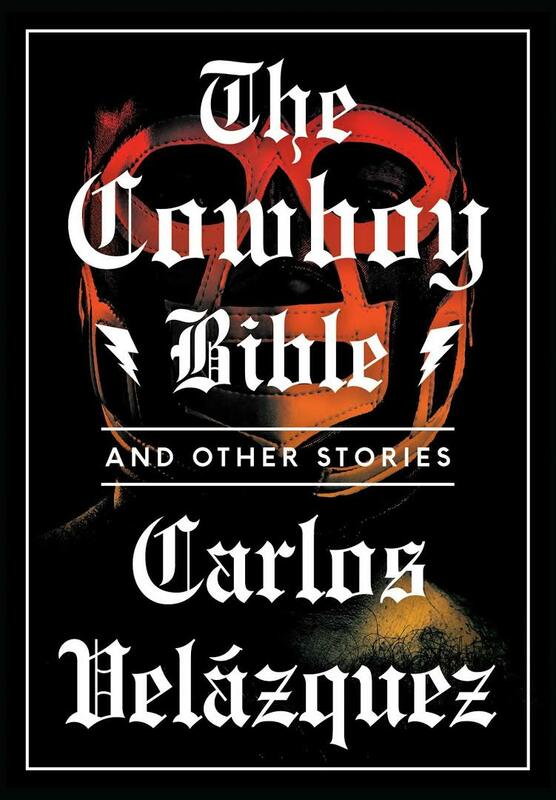 A certain wildness is to be expected when a book cover looks like a biker’s jacket, but even that might not prepare the reader for Carlos Velazquez’s The Cowboy Bible, a collection of short stories which will not sit sweetly in their in their cages but instead roam freely across the fictional town of PopSTock, their characters and phrases turning up untidily on their neighbour’s lawns. Nominally divided into three sections – fiction, non-fiction, and neither fiction nor non-fiction – even these barriers seem designed to display the content’s contempt for anything that might define it. Into this mix Velazquez throws everything we might expect of Mexico: wrestlers, narcos, corridos, and burritos, not to mention the devil, blended into a surreal cocktail that is unlikely to be to everyone’s taste. ‘The Cowboy Bible’ is amusing but it is not the strongest story in the collection. The Bible itself makes its first appearance, a good luck charm that seems almost incidental to the story. Though abandoned by the narrator at the end, it is not abandoned by Velazquez, and will reappear throughout the collection in various guises, its ability to transform suggesting that its pages contain the multifarious soul of Mexico. The story goes to describe her career as a pubic beautician, conflating it with that of a rock star (indeed the ‘origin story’ is part of that process). Her razors bear the names of famous guitar makes, her hero is Jaimito Hendrics, and she even names her favourite blade Lucille (famously the name of B. B. King’s guitar). It could be argue that Velazquez is poking fun at so many things – body image, fame, branding – he’s simply waving his stick in the air, but that doesn’t prevent the story from being enormous fun. Dizzying and disconcerting, The Cowboy Bible may be an uneven collection, but where the stories work they burn like a dance with the devil. You are currently browsing the archives for the Carlos Velazquez category.